Attempting to read the United States Constitution in its entirety can be an intimidating task. At over 7,500 words including the Ammendments and its place as the single most important document in the history of the U.S. – it's vital for all Americans to know what it stands for, the freedoms it provides, and the limitations it places on the federal government. 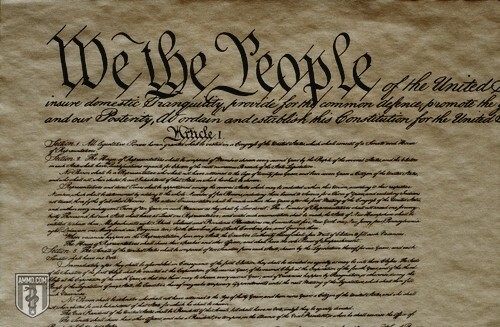 This interactive guide to the U.S. Constitution serves as a digital resource for those looking to quickly find specific sections of the iconic document – from Article 1 through the Amendments of the Bill of Rights. The judicial Power of the United States shall be vested in one supreme Court, and in such inferior Courts as the Congress may from time to time ordain and establish.The Judges, both of the supreme and inferior Courts, shall hold their Offices during good Behaviour, and shall, at stated Times, receive for their Services a Compensation, which shall not be diminished during their Continuance in Office. In all Cases affecting Ambassadors, other public Ministers and Consuls, and those in which a State shall be Party, the supreme Court shall have original Jurisdiction.In all the other Cases before mentioned, the supreme Court shall have appellate Jurisdiction, both as to Law and Fact, with such Exceptions, and under such Regulations as the Congress shall make. The right of citizens of the United States to vote shall not be denied or abridged by the United States or by any State on account of [gender].